LAHORE: (Monday, July 2, 2018): Speakers at a seminar on “Requirement of free & fair elections” has urged the Election Commission of Pakistan to organize an All Parties Conference for preparing a code of conduct for electioneering so that violent and hate material could not be spread. They were addressing a seminar organized by Pakistan Institute for National Affairs and Punjab University's Centre for South Asian Studies, Pakistan Study Centre and Department of Political Science here on Monday. 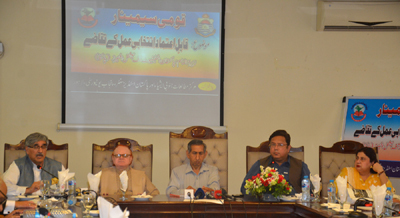 Senator SM Zafar, Justice (r) Faqir Muhammad Khokhar, Chairman PILDAT Ahmed Bilal, Senior Journalists including Altaf Hasan Qureshi, Sajjad Mir, Prof Shahbir Ahmed Khan, Rauf Tahir, Dr Shafiq Julandhri, Director CSAS Dr Umbreen Javaid and other renowned journalists participated in the seminar. Addressing the seminar, Senator SM Zafar said that elections must be held as scheduled otherwise if the elections were postponed, it would not be organized. He said that other than the claims of election commission and election observers, it was more important that people felt that the elections were transparent. He said such impression must also be dispelled that one party was being victimized. 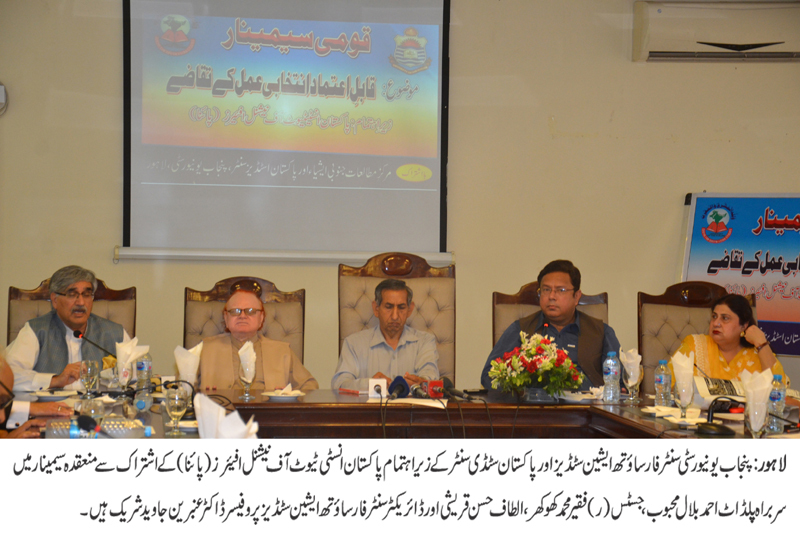 Justice (r) Faqir Muhammad Khokhar said that Election Commission should also devise a plan for training of voters. He said that it was a good omen that now our voters were now much educated. Chairman PILDAT Ahmed Bilal said that there was the best-ever system of organizing transparent elections was in field and we had the best-ever rules and regulations now. Other speakers also gave recommendations for holding transparent elections.